It's anonymous, easy and safe! 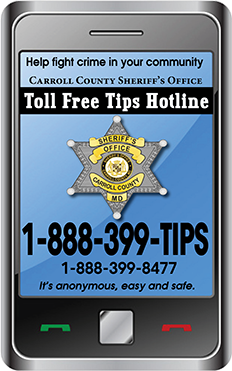 The Carroll County Sheriff's Office provides a toll-free TIPS Hotline, which allows citizens to provide anonymous information regarding criminal activity in their community. Citizens can now call and report information on an anonymous phone line by leaving a recorded message regarding Wanted persons, drug activity, or any other type of crime in their community. Callers will have the option of remaining completely anonymous, or can ask for a law enforcement officer to return their call. All information will be given to a Sheriff's Investigator, or forwarded to the appropriate police agency for investigation. To reach the anonymous TIPS HOTLINE, callers simply need to dial toll free 1-888-399-TIPS (8477) and leave a recorded message. Callers will be advised that if they are in need of immediate assistance, they should hang up and dial 911. 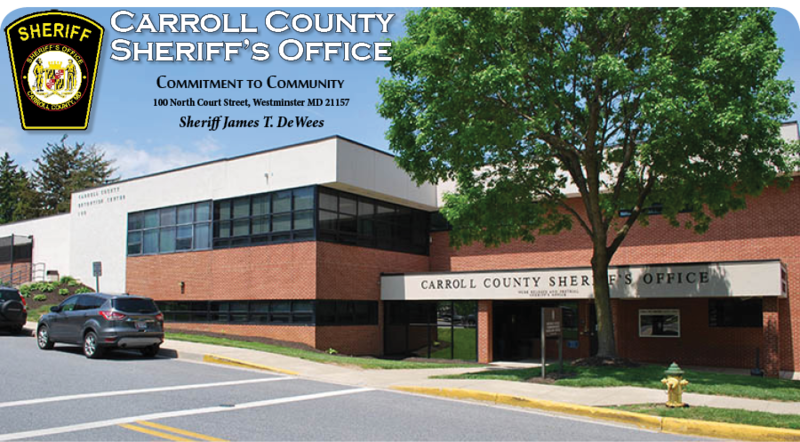 As always, citizens can call the Sheriff's Office directly and speak to a deputy by calling 410-386-2900 or 1-888-302-8924. If you would prefer to e-mail your TIP, please click this TIPS HOTLINE link or e-mail to tipshotline@ccg.carr.org.